﻿ Furama Villas Danang, Da Nang | FROM $516 - SAVE ON AGODA! 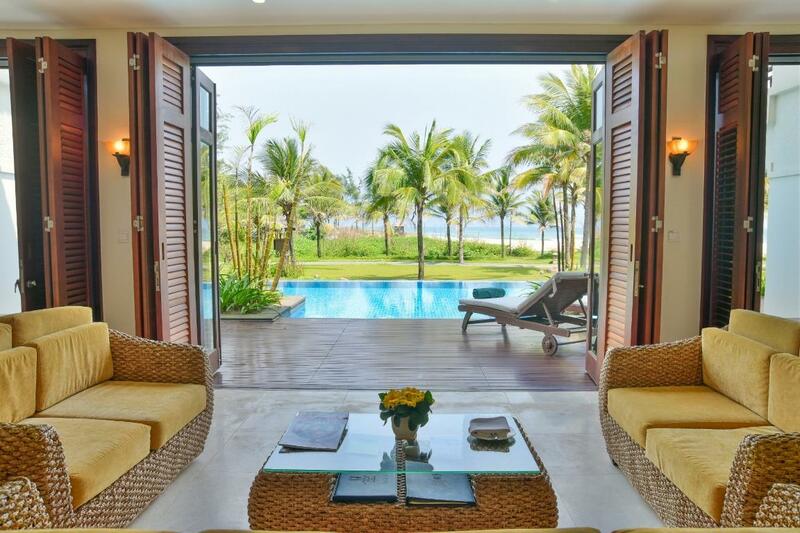 "The beach is just in front of our villa, and the kids had so..."
Have a question for Furama Villas Danang? "6 of us had a good time during our stay at the villa." "The staff are wonderfully friendly and helpful." "Beautiful swimming pool and great breakfast buffet." "It was such a great place for my vacation ever." "The property is well-maintained and the villa we stayed is v..."
Children under the age of 12 will be charged USD 29 for breakfast. Guests staying for a minimum of 3 nights at the Villas will receive one-time complimentary afternoon high tea at Han Vai Lounge from 02:30 PM to 05:00 PM per person per stay. The beach is just in front of our villa, and the kids had so much fun on the beach and the private pool. Service is good, staff is helpful. Only problem is they need us to buy a compulsory Christmas dinner which is expensive and we didn't enjoy it at all. I've been to Furama Villa last month and the resort is really good! I've stayed here for 3 nights and I really enjoyed the quality of villa. The service is very good, the villa is clean and comfortable, all staff are very friendly, I like the way the staff work with guess. They have been well-trained. Breakfast buffet is high quality, luxurious and also tasty. My family really enjoy this trip and we hope to have chance to come back here again. We booked the villa which is very good, big silent. We brought our food and cooked in the villa. It was very pleasure. The buffet is a lot of choice esp seafood. Taste is delicious. Worth to try. Beach and swimming pools are good. Should stay longer next time. 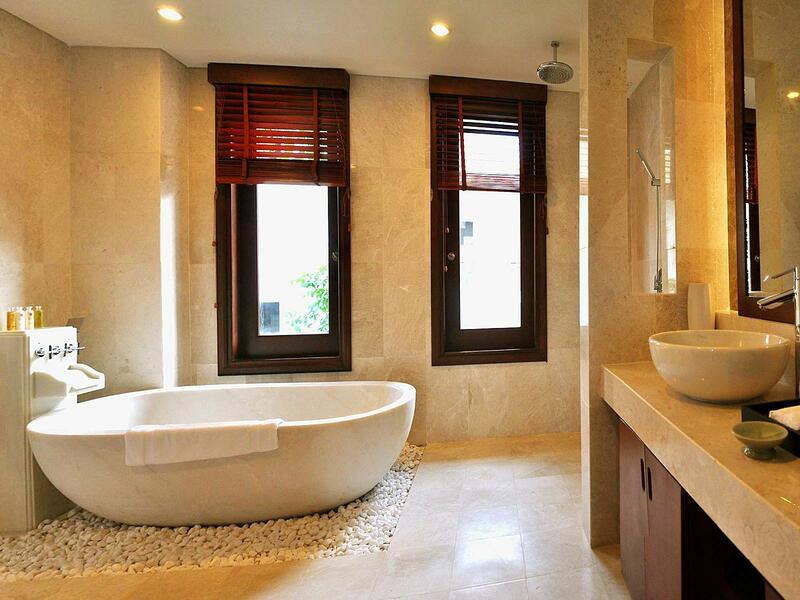 Had 9 people in in one of the 4 bath, 3bdrm villas. Located right across from the gym, bigger pool and restaurant. Private pool is small but fun for the kids. Lovely grounds and 24 electric cart service to drive you around the grounds from the villas to the resort lobby/restaurants if you're travelling with older people as we were. Things were a little confused there with logistics, but everyone was friendly. Furama Villas and Resort are a bit far a way from central Da Nang where cafes and restaurants are (you'll probably need to take taxis unless you really like 4km walks) but it's on the beach. The hotels further north, you have to cross the busy street to get to the beach. I'm weird and really hate that, so for us being on the beach outweighed the distance from town center. have stayed with Furama Danang twice now, a year apart. Pretty sure i will be going back for more again! Very enjoyable and great and friendly service. 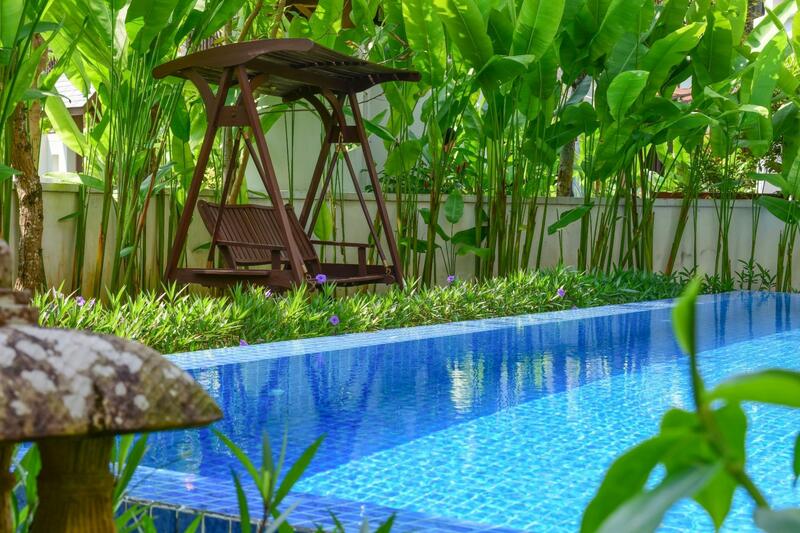 Stayed in a pool villa and we really enjoyed the experience. The F and B offerings are very nice too. Mr Chau on the guest services desk was most helpful and a wonderfully knowledgeable host on the day trips we booked with him. it was such a great place for my vacation ever. 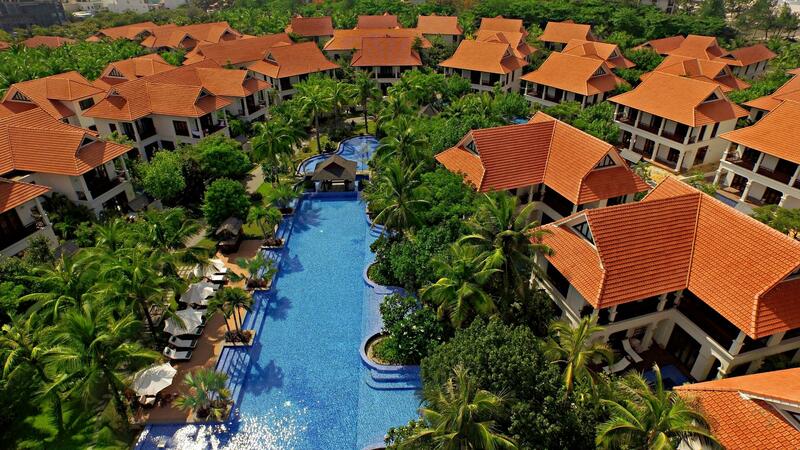 beautiful swimming pool and great breakfast buffet. quiet and clean environment. everything was perfect! We booked a 3 bedroom villa and it was amazing! And we just walked a few steps to the private beach! Kids enjoyed the place so much. Staff were friendly and helpful and provided great service. Our only regret was we should have booked it for more days! 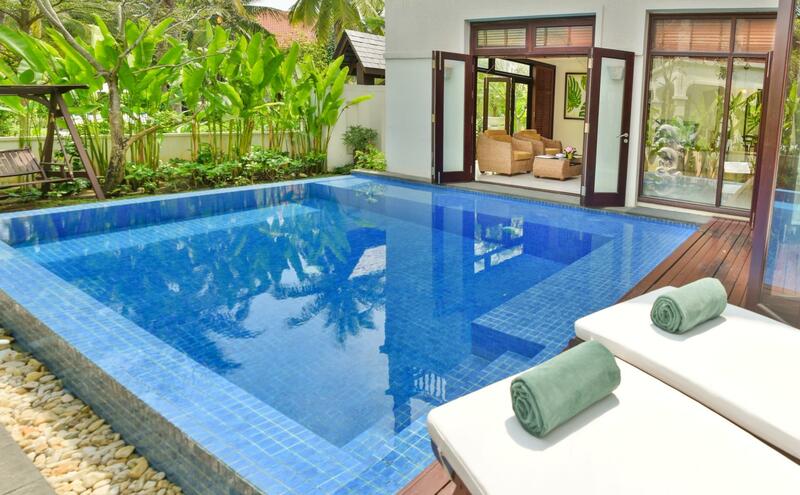 I stayed at 3 bedrooms pool villa. It was clean and beautiful. people were kind. private beach was also good cons: the afternoon tea was little bit disappointed. buggies were always busy, so you need to wait. We had a wonderful stay at the Furama Villa. It was a very relaxing stay, just as we wanted, and the villa was outstanding. We reserved, and expected, a 2 bedroom villa but when we arrived we had been upgraded to a 3 bedroom villa! The villa had more than enough room for the four of us and we made good use of the kitchen, dining area, living room and spacious bedrooms. The location of Furama is great and gave us easy access to Hoi An and Da Nang for our day outings. However, we still found time to enjoy the private pool each day of our stay. The room service food was acceptable but not outstanding. The highlight of the stay in the villa was the staff. From the moment we checked in with a cold towel and welcome drink, the staff took excellent care of us. The buggy service was always on time when needed, the cleaning service was fast and efficient and our butler, Trunz, was always available for us. 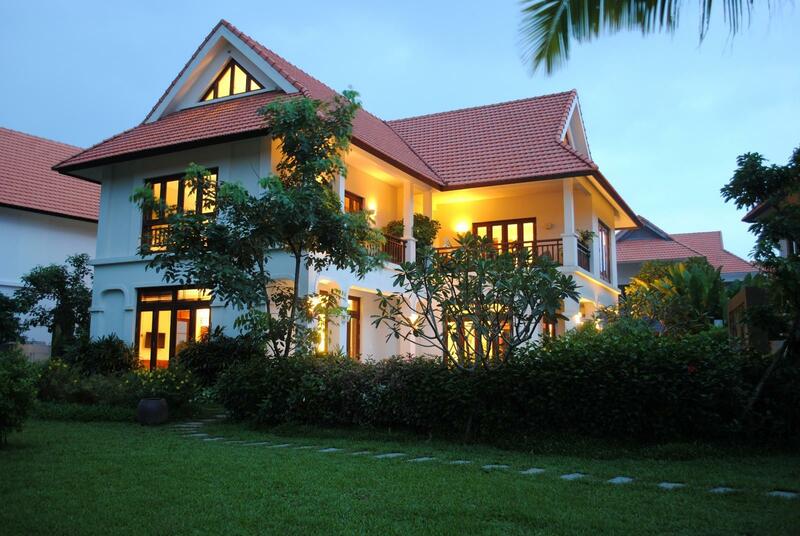 We will stay at the Furama Villas again on our next stay in Da Nang. Overall we had a good time but third time we have stayed there and third time the internet was a complete failure, staff happy to say sorry but no one actually seems to be able to resolve the problem. It is bad enough for us to consider elsewhere now as u cannot book on going flights, hotels, check emails, watch any sport, do any banking etc etc. it is a real problem if you rely on the internet to get these things done whilst traveling with family and friends. Furama does not seem to get this. Perhaps locals are less reliant on the internet for these things so it does not seem important to management. other issues were with mosquitoes and the kitchen utensils and appliances are basic at best. Not even a rice cooker or coffee machine. Still 7.5 out of 10 as the location and villas are great. Just could be so much better with 5% more effort. We enjoyed our stay at the Furama Villas Danag. The Furama resort and villas are located only 20 mins away from airport and in front of beautiful sandy beach and 30 mins from Hoi An. Furama offers free shuttle bus services to Hoi An twice a day, which we took advantage a couple of times while we were there. Their staffs are friendly and professional. We stayed in 3-bedroom villa with a private pool. The villa was much bigger than we expected. The hotels looked a bit old and needs some works (we didn't visit any rooms so I don't know their room conditions) but villas are newer and nicer. Only thing about this resorts/villa is choice of restaurants - limited. But we were at the villa, so we cooked and went out to Da Nang city centre and Hoi An. Overall, we had a very nice time staying there and I would recommend this resorts to family with children. Out stay was very pleasant, nice and comfortable villa . Nice beach , good overall comfort and staff attendance / advice . It would have been nice to have thought of a bit more outside living area at the villas, and would be expected to have the kitchen appliances cleaned daily not to leave it to the guests. 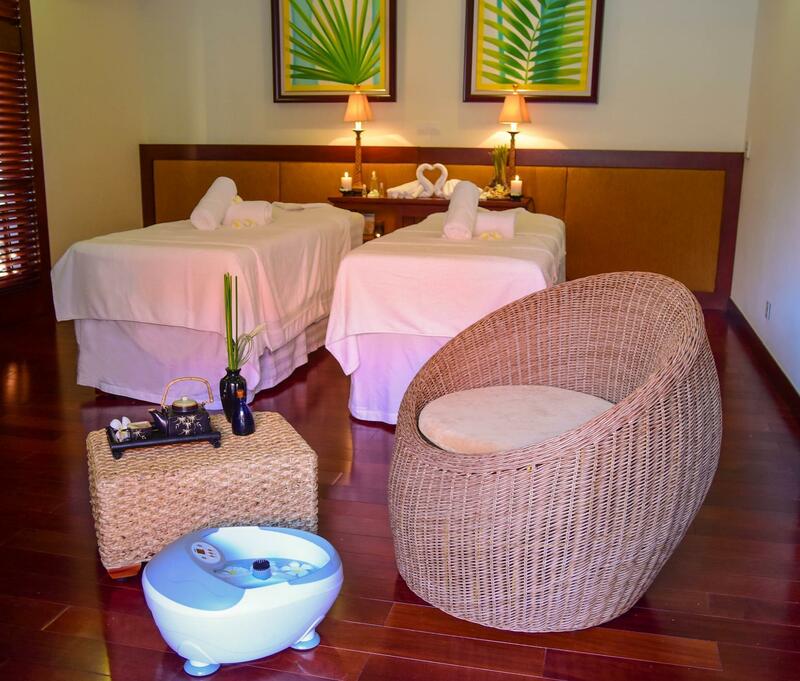 The villa is spacious and neat but there almost little activities in the resort. Breakfast is not tasteful .